Shirdi, Shani Shingnapur tour from Pune covers Darshan of holy temples, Shri Sai baba, lord Shanidev. 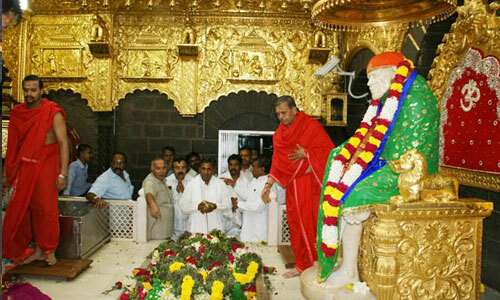 Shirdi:- Sai Baba's Samadhi Mandir is the place where Sacred Body of Baba is resting in Samadhi. An Indian spiritual guru and a fakir, Shri Sai baba in Shirdi is worshipped by both Hindu and Muslim. Sai baba strongly believed in uniformity of religion and he never distinguished anyone on the basis of caste, creed or religion. 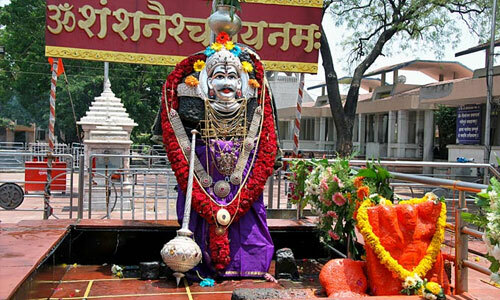 Shani Shingnapur:- Lord Shanidev- the personification of the planet Saturn is worshipped with utmost reverence and devotion by multitudes of people from all over the world. The spectacle of the deity in black stone is overwhelming. A unique aspect of this place is that no temple structure houses the Shanidev. There is only a simple platform on which stands the swayambhu idol, in black stone. Shani Shingnapur is also famous for the fact that no house in the village has doors, only door frames. Day 1: Early morning departure from Pune to Shirdi. Arrival at Shirdi, Darshan Shri Sai Baba temple and Dwarka Mai. After darshan, proceed to Shani Shingnapur. After darshan, at the evening proceed to Pune. Night arrival at Pune. Given a situation, the company reserves the rights to change the itinerary at last minute without prior intimation. Company will not be responsible in case of Natural calamities / Political conditions / Road conditions & other elements which are not within our control and are prevailing at the time of Tour.